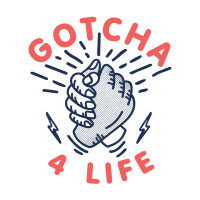 Gotcha4Life would like to thank you all so very much for your donation and support towards improving mens mental health in Australia. We are working towards all men and boys to know who their Gotcha4Life mate is and to know they can reach out to that person when they need a mate. Gotcha4Life has been established with the fundamental aim of helping to save lives of males throughout Australia. Our aim is to take action and positively impact on mens mental health. By the end of today, six men on average will commit suicide. On February 22 2019, Aidan D'Arcy and Mike Gostelow will push a 100kg sled for 12 hours non stop from 7pm to 7am to raise awareness for men's mental health. Their aim is to show that by 'pushing through the dark' you'll always see the light at the end. Aidan and Mike will be #gotcha4lifemates and with your support and donation (large or small), every bit counts to help mental health awareness. We really have no words to describe how grateful we are for all your support and donations. We pushed that 100kg sled for 13 hours straight (yep, 1 extra hour) to show you really can push further when you have nothing left to give, especially with the right support around you. We're already planning the next event - stay tuned... Thank you SO much for all the support.